Many of our customers import products from several countries. The Sage 300 ERP Multi-currency Manager automates currency conversions and revaluations. Sage 300 ERP includes the capability to add the freight, insurance and custom costs to calculate the landed cost of their products. Take charge of your inventory with this complete multi-location inventory tracking and management solution. BES also has a web based inventory advisor service for daily recommendations based on current data. The BES team have created a series of Business Intelligence (BI) dashboards which show both financial and operational data to assist you in managing your business. Some of our customers import equipment and then also offer equipment servicing or warranties. Read how the solution from Technisoft supports them. Companies who are involved in importing and distribution have some unique requirements. We have chosen a couple of our customers to describe the benefits they are achieving working with the BES team. Waitomo Petroleum operate within an industry that is both complex and changing. The challenge was to find software that could support the unique requirements of liquid product inventory reconciliations – at both company owned sites and customer sites – a complex date-based pricing system, and detailed reconciliations between company records and Mobil, as well as coping with everyday accounting functions. Read how Leanne Milligan is meeting these challenges. Hamilton-based Porter Group began as a one-man road contracting service in 1945 under its founding president, Arthur Porter. 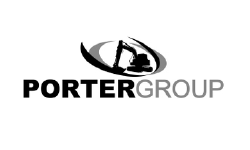 Now into its third generation of Porter family managers, the group is New Zealand’s number one provider of earthmoving and construction equipment with offices nationwide and in Brisbane, Australia. From sales and hiring capabilities through to servicing, the Porter Group of companies offers machines and parts for construction, mining as well as heavy haulage transport services. Previously Porter Group’s monthly administration tasks used to take four days, but that’s down to less than one with Sage 300 ERP system. Read more about how BES assisted Porter Group.